As the election looms, housing affordability is the number one issue in Toronto. According to polling by Forum Research, it’s eclipsed the city’s notorious gridlock as the biggest concern. Which is no surprise. 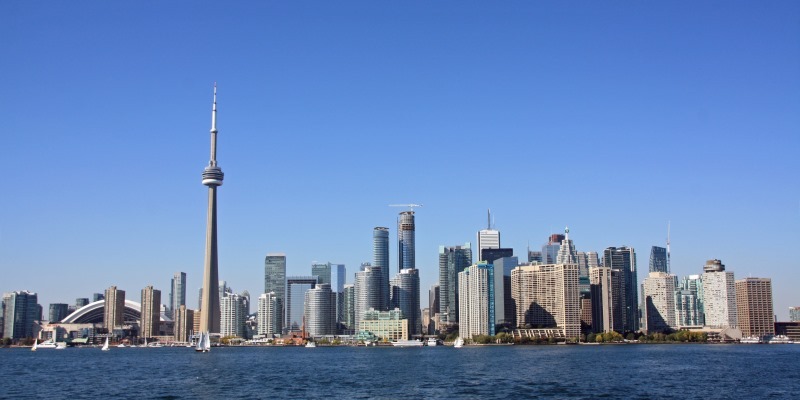 Since the last municipal election in 2014, home prices have increased almost 50 per cent across the Greater Toronto Area (GTA), while Toronto rents are the highest in the country. Though possibly good news for current homeowners, this trend is devastating for newcomers, longtime renters and businesses looking for talent. Thankfully, city hall can address the affordability issue. Fundamentally, the cost of buying and renting is driven upward by a scarcity of available homes. This is why the cross-GTA rental vacancy rate is at or below one per cent, a historic low falling woefully short of the healthier three per cent in Montreal. To reverse this scarcity, local governments must approve the construction of more homes, and at a quicker rate—be it by streamlining the building permit approvals process or making major changes to the city’s zoning bylaws. Either way, city hall holds the key to cooling prices, which will help make room for newcomers. Of course, achieving broad affordability through a growing housing supply inevitably means the face of Toronto will change. It could mean more walk-up apartment buildings in traditionally detached home neighbourhoods. It could mean more modern architecture along historic street fronts or in neighbourhoods like the Annex. Or less ground-level parking as Toronto fills in. In short, choosing affordability means choosing change, including change to the city’s physical appearance. This kind of change will understandably make some people uncomfortable. Existing residents may worry about increased noise and traffic, or a change in neighbourhood character. Many housing opponents fight such changes, ostensibly to preserve the status quo. But there’s a problem with that calculation. Opposition to development will help spur a different kind of change, as the city’s existing population ages and young people—no longer able to afford city prices—depart for cheaper pastures. As mentioned, the cost of buying or renting is on the rise in Canada’s largest city—a trend with serious consequences. According to Statistics Canada data on intraprovincial migration (movements between Ontario communities), the number of young working-age people (20-34-year-olds) leaving the city for other (more affordable) parts of the province has accelerated in recent years. Fewer young people means fewer families and fewer workers, making things difficult for growing businesses looking to hire or retain talent. It can also mean more people commuting into the city but paying taxes to other municipalities, meaning both foregone revenue at city hall and the threat of greater traffic congestion. As such, opposing more housing in Toronto can help frustrate change in some neighbourhoods, but does nothing to preserve the defining element of any great city—its people. Maintaining the appearance of certain neighbourhoods might serve nostalgia, but freezing neighbourhoods in time will eventually strangle the city’s life blood. As the urban thinker (and former Torontonian) Jane Jacobs once wrote: “people make [the city], and it is to them, not buildings, that we must fit our plans.” As Torontonians consider their city’s future in October’s election and beyond, they should ask themselves not whether they prefer the status quo over change, but rather what kind of change they prefer. Change that favours buildings or change that favours people? The choice should be obvious.